Foreign residents with an F5 visa in South Korea will be required to renew their alien registration cards every 10 years, as the revision bill to the Immigration Control Act passed the National Assembly on Wednesday. In addition, local authorities will be able to place a faster travel ban on foreign criminal suspects involved with serious charges under the revised immigration act, which will go into effect six months after proclamation. The new rules require permanent foreign residents with an F5 visa to renew their alien registration cards with an updated photograph and address every 10 years. 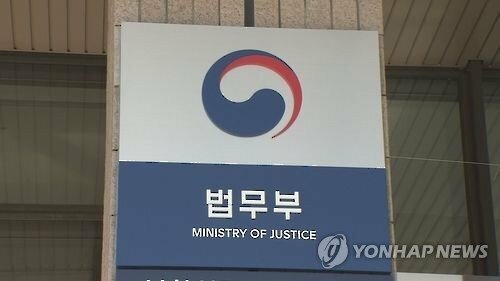 Up until now, the Korean government has had trouble with updating information on permanent residents as an F5 visa does not specify an expiration date, the Justice Ministry said. Those who fail to renew their IDs in time will be fined a maximum of 2 million won ($1,840). A prompt travel ban could be imposed on foreigners suspected of committing crimes subject to the death penalty, life sentence, or more than three years of imprisonment, according to the revised immigration law. With the new rules local investigators can request the Immigration Office to enforce an emergency travel ban on the suspects. Without a formal prior authorization they have to take a retrospective approval from the Justice Minister. Foreign laborers held in Immigration Processing Centers for illegal stays in the country can be freed under the jurisdiction of the Immigration Office or the head of the processing center. Previously, foreign laborers had to make a claim or rely on their reference for help. The revised rule will help make the process easier for those who do not know how to process their own release or do not have others to vouch for their identity.